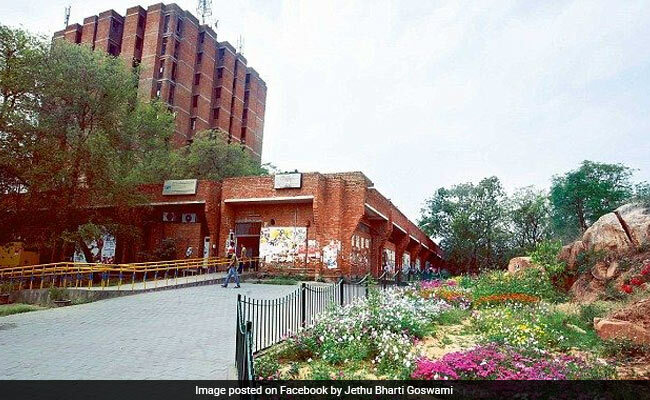 New Delhi: Jawaharlal Nehru University (JNU) has officially renamed its central library after BR Ambedkar. On the occasion of Ambedkar Jayanti, JNU Vice Chancellor M. Jagdesh Kumar while addressing the gathering quoted Ambedkar as the "greatest architect of modern India". A bust of Ambedkar was also unveiled by Milind Kamble, Founder Chairman of the Dalit Indian Chamber of Commerce and Industry (DICCI) on the occasion. "In the beginning of 2016 when I first joined the university, there was a 'dharna' going on in the Administrative Block but when I visited the library...I found it jam-packed. That's real JNU," Kumar said while addressing officials and students on the occasion. He further added that after India got its independence the biggest question was how to achieve modernity and that our Constitution was the most important text which helped us in our struggle to reach that objective. "Constitution is our only scripture and B.R. Ambedkar is the main architect of this scripture," he added. The renaming of the library has come after a series of protests by student groups belonging to minority sections studying in the university. According to an official invite uploaded on the JNU official website, Shri Udit Raj, Member of Parliament, Lok Sabha, and Shri Milind Kamble, Chairman DICCI was the Guests of Honor at the event. The event was presided over by Prof. M. Jagadesh Kumar, Vice-Chancellor, JNU. The event was organized in the Library Main Hall at 11:00 am today.